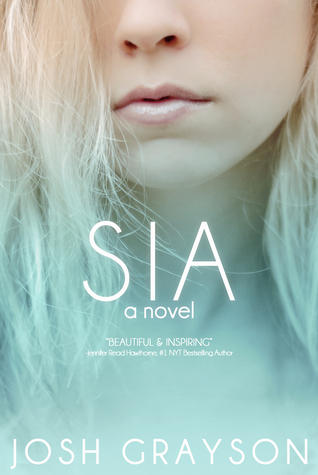 Sia is a great story that takes a look at the social dynamics of high school in a very interesting way. When Sia loses all her memories, she finds herself living with the homeless for a week - eating at soup kitchens, collecting cans, and sleeping under bridges. She has no idea that she is actually the daughter of a famous movie producer. When an accident lands her in the hospital, she is reunited with her family only to find it isn't the perfect life that everyone told her it was. As her family falls apart around her, she struggles in school with what her friends expect her to be. She finds out that she was a "mean girl" - the worst of the bunch, but now she doesn't want to be that. Will she be able to reinvent herself into a better person. I absolutely loved this story. Sia was a very genuine and honest character throughout and it was amazing to watch her turn her life and family around into better people. While there wasn't a lot of action, there was a lot of character growth and exploration which I love in a book.